Tuesday 9th of June South Trafford Raiders were invited to train with the Salford Red Devils scholarship squad. The lads got the opportunity to engage in top quality coaching and train in a professional club environment. 16 boys attended and they were put through their passes. Harry Martin - Loose Forward for the Raiders said " I really appreciate the opportunity Salford Reds have given us and I have learnt a lot from the training session that I can put into my game"
Session consisted of core skills e.g. play the ball, tackle tech and evasion. South Trafford Raiders week didn't end there Thursday 11th June - Played Blackpool Away. 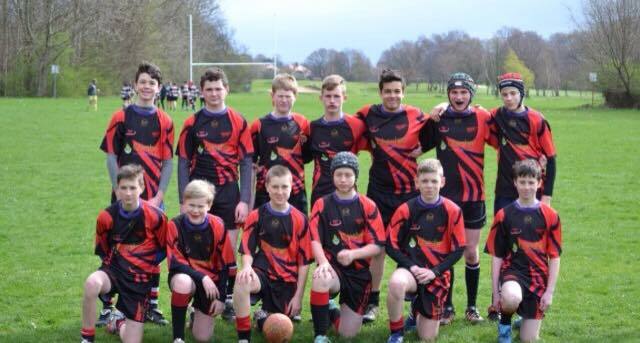 Won 34-14 Sunday 14th June Won 34-22 away against Cadishead Rhinos - making it three wins one after the other. Anyone interested in playing or coaching. Training for the 13s is Thursday 6-7 U14s 7-8 BTHCC.